Twitter. The New Customer Service Channel? I’m the first to admit that when I need action with a company, I often times use Twitter to get their attention. In fact, I used Twitter twice this week. Why? Agents in customer service call centres rarely have the authority to act in the way needed. They offer empty promises that a supervisor will ring us back and the calls rarely end with satisfaction. Companies have tried to get consumers to use 24/7 chat, which often times ends up in similar frustration or a lack of action. While Twitter is most often used by companies or organisations to promote something or to “toot their own horn”, Twitter today is often times used by consumers, or in our case, donors, to praise a company/organisation or to complain. Does your nonprofit organisation have someone responsible for social media who, also, monitors Twitter? 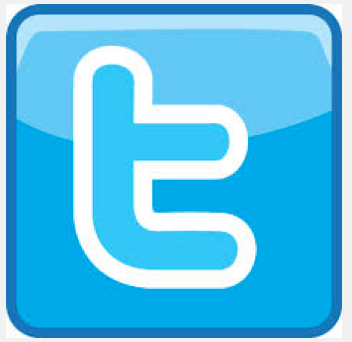 Do you have an action plan to respond to Tweeters who post praise or complaints? How about an action plan to welcome new Twitter followers or to monitor those who re-Tweet one of your posts? Is the above part of your social media strategy? Stephen Mally brings over 30 years of fundraising and non-profit consulting to the project. Having served as a 20-year fundraising veteran in the United States for a variety of health care related charities and hospitals, Stephen transitioned to consulting in Asia-Pacific and in Europe in 2008 where he has consulted with over 500 organisations in those regions gaining a vast amount of diverse exposure to diverse organisations, SRM solutions, fundraising programming and fundraising operations. Stephen acquired his Certified Fundraising Executive (CFRE) credential in 2012. Less than 150 fundraisers in Australia and New Zealand hold the CFRE credential, which is the first globally recognised credential for fundraising professionals. CFRE International certifies experienced fundraising professionals aspiring to the highest standards of ethics, competence and service to the philanthropic sector. Stephen was named a Fellow of the Fundraising Institute Australia (FIA) in 2017. Is our non-profit organisation ready for a new CRM? Tap to donate – as productive as a gold coin donation? BPay – is it a lucrative option for Australian charities to offer? Does age define who gets solicited by nonprofit street canvassers?